The Video Show is a brand new event that aims to help you improve your filmmaking. Making its debut at the NEC from 16-19 March 2019, the show (which is co-located with the popular The Photography Show), will be running a host of programmes to spark inspiration. There will be theatres and stages where you can enjoy practical demos, learn specific skills and techniques for subjects such as wedding, portrait and outdoor filming, and listen to guest speakers from the higher realms of filmmaking. With over 46K YouTube subscribers on her YouTube channel, leading and established cinematic videographer Mandy runs a successful videography business specialising in Asian weddings. She’ll be hosting sessions on the essentials of video editing in the Video Beginners’ Masterclass, and will also be demonstrating how to capture the vibrancy and joy of a wedding through a live recreation, complete with music and dancing on the Video Live stage. An expert in both the world of broadcast TV and a fan of shooting and editing on mobile devices, Rick will be sharing his perspective on storytelling through the shooting process and the fail-safe set-up for corporate video work. Carys loves visual storytelling and will be talking about some of her favourite techniques for using drones in storytelling, and the magic they can bring to video footage. Victoria will be talking about the pros and cons of filming with a smartphone, including live shooting, and editing. She will also talk about using video to market your brand on the Social Stage, as well as sharing tips and techniques for those looking to turn pro and future-proof their business. Richard is now head of technology for a fast-growing video equipment distributor and specialises in cinema cameras, vision mixers, lights, wireless transmission, streaming and bonding. At the show, he will talk about how to turn a pocket-sized camera into a proper cinematic shooting rig. Other sessions will cover how to get the most out of the audio of a video, how to use external monitor-recorders and how to get professional results with gimbals. The show will also feature exhibitors including Panasonic, Getty Images, Sony, Fujinon, Lowepro, Sigma and many others. 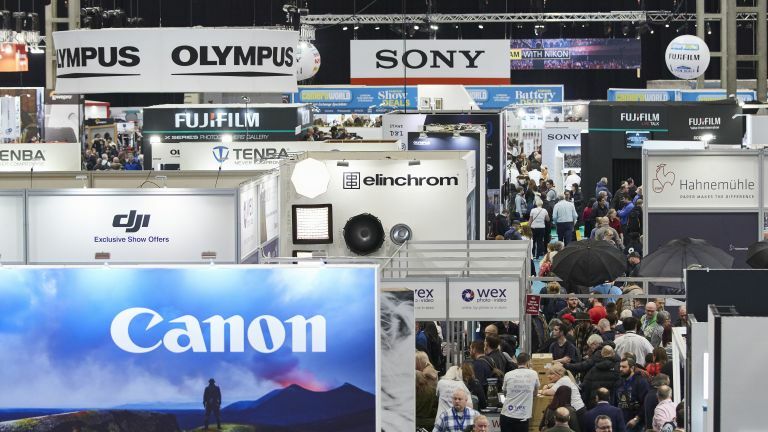 To get 20% off your ticket to The Video Show (which also gets you into The Photography Show), simply enter the voucher code FAMTPS19 at the checkout. That will bring the price of an adult ticket from £14.95 to £11.96. Tickets for children, students and over 60s are priced at £11.95 each and aren't eligible for the code. Children aged 11 and under can attend with an adult for free.